Sept. 27, 2016, 6:23 p.m. The initial “Back To School” rush may have come and gone earlier this month, but as we enter a new season, there are still things to be done when it comes to our children’s performance in school. At Everett and Hurite, we are specifically interested in helping families monitor our youngest patients for the earliest signs of vision problems. Vision is a critical aspect of daily life - especially for children, who spend much of their time in school. As much as 80% learning and fact gathering in the classroom occurs through a child’s eyes. Chalkboards, books, tablets, diagrams, math problems...you name it, and it probably involves a visual component. This means that any blurry vision or eye problems can quickly put a damper on a child’s academic performance - and may cause serious problems as they try to navigate through daily life in their classroom. 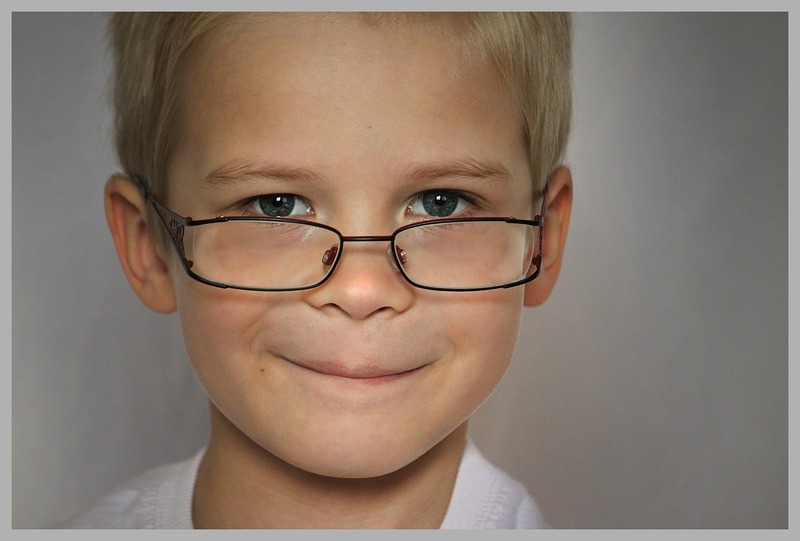 The vision problems that affect children can often quickly be corrected with something as simple as a pair of eyeglasses. To ensure they can get the vision-correction aides they need, however, we all need to be able to recognize when children are struggling to view the world around them. Listen to your child’s complaints. Listening to what a child has to say is often a huge clue into their vision health. If a child complains about regular headaches, pain in their eyes, or that things look “funny,” a visit with your eye doctor should be scheduled immediately. These complaints may indicate eye strain pains or even blurred vision. Observe your child’s habits. While your child’s complaints can help to hint at vision problems, the way they interact with the world can be an even bigger clue. Children who are struggling to see the world around them often develop a distaste for reading; read very slowly, or lose their place often during the task; omit or repeat words when they try to read; have difficulty remembering what they read or saw; hold books and other objects close to their eyes to see them more clearly; have a short attention span for visual tasks; tend to turn or tilt their head when looking at something close-up or far away; and blink and rub their eyes frequently. Any one or combination of these signs is enough reason to visit an eye doctor. Poor eye-hand coordination. Do you have a child who is a bit, well, clumsy? Poor vision may be to blame. Our eyesight is a critical tool in navigating the world around us. Without it, we’re more likely to run into or drop objects. Rather than assuming your child is just accident prone, or even acting silly for attention, it’s important to take children who frequently drop objects or run into structures to their eye doctor for a check-up. Review your child’s grades and any teacher’s notes you may receive. Performance notes from school are often one of the best indicators that your child is struggling to see what’s happening in class. Whether their grades begin to drop, or a teacher mentions any odd behavior (especially the behaviors listed above), it’s important that parents consider vision problems as the source of poor performance in younger children. How Everett and Hurite Can Help! Monitoring for the signs that a child’s vision is changing is a critical part of caring for his or her health. In addition to monitoring for signs of distress at home, parents can also utilize Everett and Hurite as an eye care resource! The easiest way to do this is to schedule eye exams for your child at least once every two years - however, you may want to make these exams more frequently if specific problems or risk factors exist, or a staff member recommends it. An exam at Everett and Hurite will be the best way to ensure that your child’s vision is 20/20 - or that any problems are quickly identified. Remember, only professional eye doctors use equipment sensitive enough to identify specific vision problems, including dangerous eye diseases. School eye exams, while sometimes useful for indicating that a problem exists, can do little more than tell the school nurse that a child may have blurry vision. While vision problems can be scary to think about - especially when they affect our children - the good news is that the earlier a vision problem is detected and treated, the more likely treatment will be successful. 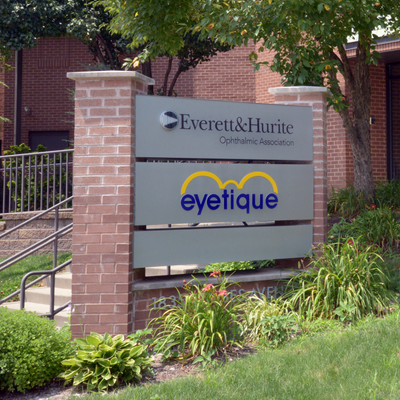 Everett and Hurite is here and ready to help ensure that every member of your family has the eyewear they need to succeed, as well as to ensure that everyone’s eyes are as healthy as possible. If you or a family member is due for your next eye exam, please call our Pittsburgh office at (412) 288-0858, or reach out to another location that is more convenient to you - we’re ready to ensure you can see the rest of your year clearly!